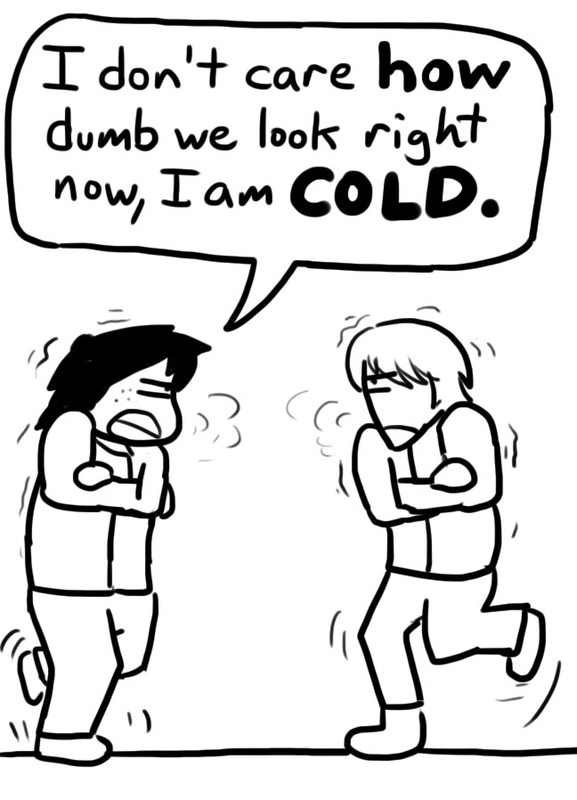 Freezing at Frozen Fenway | I think in comics. 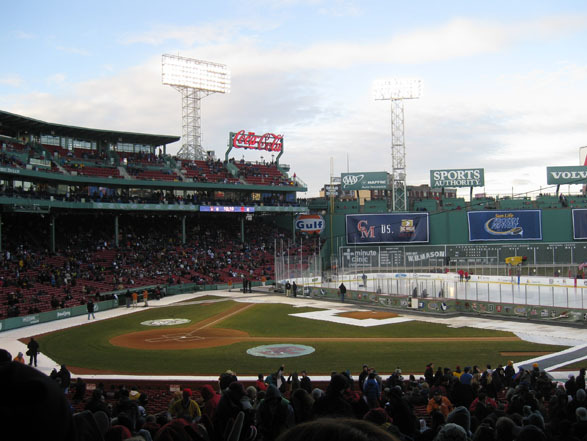 Every year, Fenway has a neat little event called “Frozen Fenway.” They build an ice hockey rink in the revered baseball stadium, invite long-time rivals to come and play each other, and charge the bejeezus out of the college kids who flock to see it. This year, Northeastern was going to play Boston College. To make a massive understatement, it was unpleasant. Between periods my suitemate and I would stand up and weakly stomp our feet in an attempt to warm up. The folks at Fenway know this, too. They intelligently sell hot chocolate at outrageous prices to the fans. And Northeastern lost, to boot. I have never seen so much hatred spilled on the ice as on that night in Fenway. Sad times. So finally, the cold weather Boston is known for is starting to settle in. I haven’t even seen the worst of it! 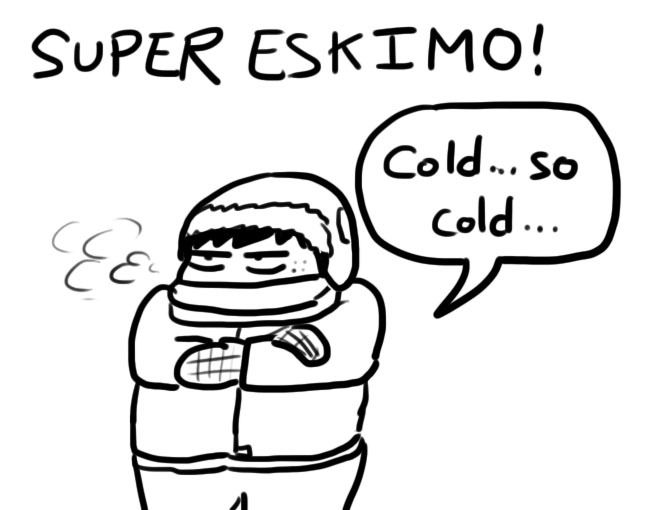 I’ll be in my Eskimo clothes for the next few months. No worries! BAHAHA. It’s 60 degrees here. 😉 Granted, it is raining and windy, BUT IT IS NOT FROZEN! Still, I’m with you. Cold weather is seriously cramping my style. I totaly agree with u, WINTER SHOULD BE OVER!!!!! well i hope u dont get sick from being out in that weather. Haha thanks! Luckily I did not catch anything out there, which is actually surprising considering how much my immune system was probably compromised. I’d like a shorter winter, definitely!